Pay per click advertising has become if not the number one way drive traffic to a website’s landing page. This is the case with many brand new websites where the advertiser wants to give the website a boost of traffic in their early part of its life. The main leader in PPC is Google Adwords which is actually around 95% of all Google’s revenue income! After that, others such as Yahoo and Microsoft’s PPC services are next biggest with the likes of Ad dynamo still struggling to pick up pace. 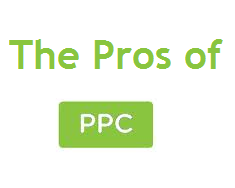 There are many reasons why people choose PPC. At the same time though, PPC can become frustrating to some advertisers. Like with everything, there are pros and cons to pay per click advertising. It can be considered that the biggest reason advertisers use PPC as a source of paid traffic is for the fact campaigns can be turned on or off whenever they feel like it. This is why banner advertising is not used as much as PPC. The typical period you buy adverts for is 30 days. The problem with that is that not all advertisers want to advertise and pay the price of 30 days of advertising. If you simply want an hour of traffic to create short sharp boosts in traffic, PPC can supply this traffic for you. As well as the traffic being instant, the traffic is accurately targeted to your website so that the ‘right’ type of people visit your landing page increasing the chances of a conversion. Again, I’ll refer back to banner advertising, there is no targeting in banner advertising. You have to judge for yourself what website you want of buy advertising space on. If you get it wrong, you will have wasted your money. This is not the case for PPC who only show adverts on the pages that relate to the keywords you chose. PPC is stereotypically viewed as a source of traffic which it certainly is. However, it can also be used as a source of market research to your website. With the use of Google Analytics and a Part 1 and Part 2, you will be able to use the traffic produced from PPC campaign’s to analyse the performance of your landing page. This is great news for advertisers who are just about to out a lot of effort and money into a campaign. By creating a small experimental campaign to see the performance rate of their landing page, they will be able to iron out any flaws in the landing page so its ready for the big campaign. ‘PPC’ is the final advantage. Pay-per-click: it says it in the name. You will only ever have to pay once somebody clicks on your advert. You can have millions of ad impressions. However, as long as nobody clicks on your advert (which is highly unlikely), you won’t have to pay a penny. The traffic you obtain through PPC is directly proportional to the amount of money you put into your campaign. You only pay for as much traffic you need. This helps to make PPC mould to campaigns of all different natures from the multi-million campaigns to a few dollars a month campaign.